Here’s where we keep all our free resources! If anything here is useful to you & you can afford it, please consider sending us a donation (every bit helps) so we can keep making more things available for free. 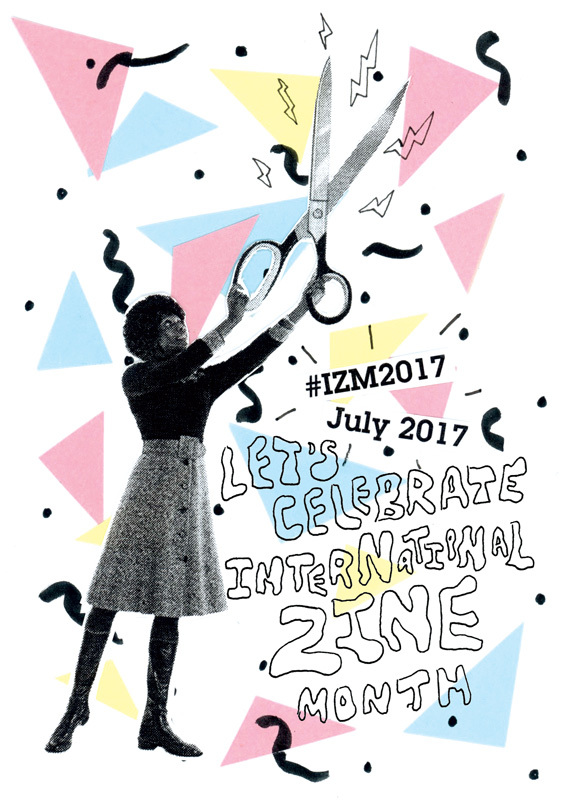 Stuck on where to start making a new zine? This is full of lots of prompts to help get you going! 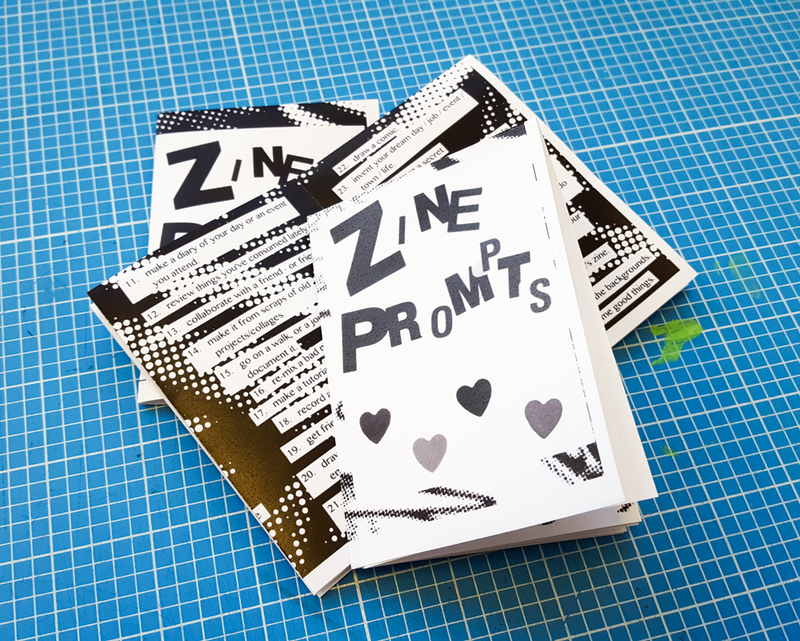 A 8-page mini-zine, folded from a single sheet of A4 paper (there’s a good guide of how to fold these kinds of zines on Cut Out and Keep). You may print, copy and share as many copies as you like – so long as you’re not selling them. Print your own International Zine Month 2017 poster! This appears on the front of our mini-zine we’re sending out with all July orders, that you can also buy colour versions of here.